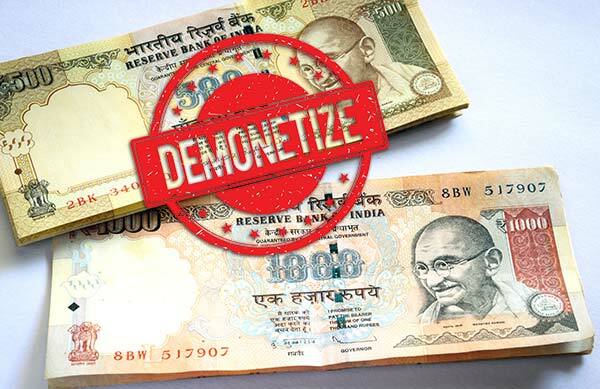 The recent demonetization of currency notes of Rs. 500 and 1000 is an impressive move by the Prime Minister Narendra Modi, as it will help eliminate black money, tackle counterfeit notes, and take Digital India Campaign to the next level. And for you as a traveller, it won’t be much of a trouble if you adopt smarter ways to travel and completely switch to online holiday booking. However, if you are relying on local travel agents and cash based dealings, you may end up facing huge disappointments due to a scarcity of new currency notes and limit on cash withdrawal. First of all, it is important for you to know in detail how this bold step by the government can have an impact your international and domestic travel. If you have not booked your international holiday yet and planning to make your booking through a local agent with cash, things might not go smooth for you due to the existing limit on cash withdrawal. And if you have old currency notes of INR 500 and 1000, travel agents will not accept that. 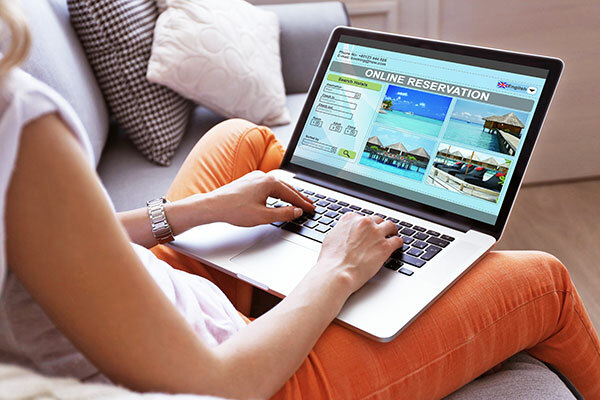 In such a scenario, booking your international holiday online is the safest bet. It gives you the convenience of choosing from a plethora of holiday packages available online and making the most of the early bird, last-minute and festival offers. You don’t really need to walk up to a travel agency and haggle with agents when you can simply sit at home and search for the most suitable international holiday package online. If you have already booked your international holiday, the very next step is buying a visa, which will again require you to pay cash if you are buying it from a local agent. The good news is that you can save yourself the hassle of standing in the snaking queues outside the ATMs and banks for cash withdrawal and buy your visa online from the comfort of your home. Thomas Cook India’s Online Visa Application process serves as a comprehensive guide that enables easy access to online visa information along with fulfilment of visa services. You don’t really need to run around trying to get in touch with visa agents when you can simply download your visa forms online and submit it to the offline branch, along with the required documents. The rest is taken care of by the visa experts. Buying foreign exchange is one of the major concerns when it comes to foreign travel. And buying Forex from a local Forex dealer with cash right now can be an uphill task due to demonetization of currency and scarcity of new currency notes. But you can completely get away with this problem by booking your Foreign Exchange Online. The best thing is that online booking helps you get foreign exchange delivered at your doorstep. It also gives the option to set rate alert and block the rates of a particular currency and thus get better rates as compared to cash to cash currency exchange at the airports. You can also buy Forex card online as carrying too much cash is a task in itself. You can upload up to 8 currencies in your Forex card and travel across the borders. Just buy this Forex card online and use it to withdraw cash and as a debit card at any point-of-sale in a foreign land. If you are planning a domestic holiday, paying through cash to your local agent will be a huge problem as there is a capping on cash withdrawal from banks and ATMs. Booking your India holiday online is the best way to get rid of the cash woes. If you are already travelling within India at this point of time, making your payments through your card is the safest bet so that your cash can only be used at places where debit and credit cards are not accepted. All in all, demonetization of currency is a positive move for India and its citizens. We as responsible citizens should support our Prime Minister’s endeavour to curb black money and make India digitally empowered. If you are planning to travel on Christmas and New Year, Here are few things you should know to avoid the impact of demonetization. Nice Blog post. Keep Going.